Shop & Save! Try Our Groceries To-Go Service Today! 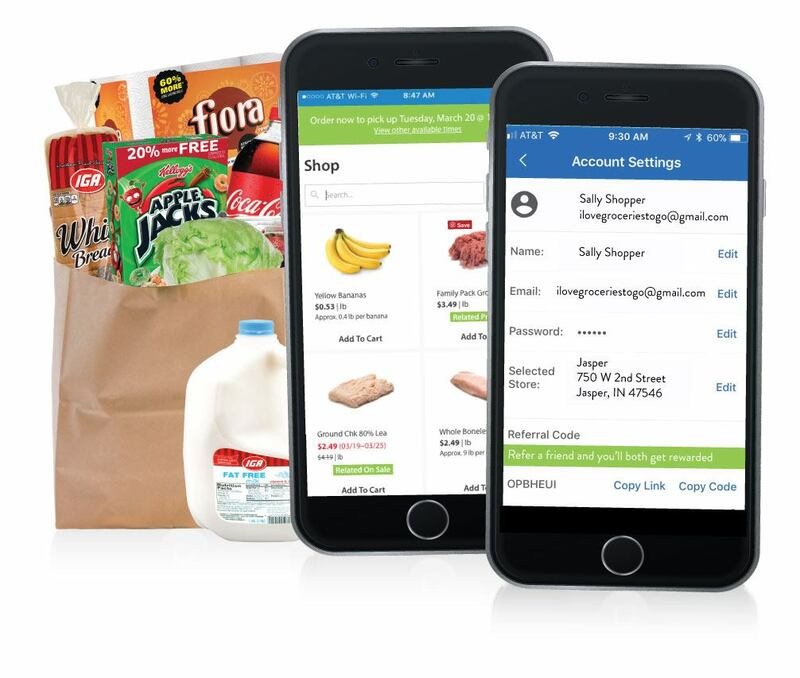 Visit your Groceries To-Go account for more details! *No limits on number of referrals, however, limit one referral redemption per transaction. Referral bonus can be used in combination with other promo codes and offers. Bonuses only applicable on transactions that meet $50 minimum spend. Excludes provisional hold or applicable taxes. For example, let us know if you have special instructions, such as fully ripe bananas or thick-cut slices of meat. We’ll ensure you get exactly what you need. Whether you want one and a half-pounds of group beef or three-quarters of a pound of sliced turkey breast, our personal shoppers ensure they select the item that is as close to your specifications as possible while adhering to your budget. In addition to everyday low prices, online shoppers get the same price as if it was purchased in-store. You can even add deals from the weekly ad directly to your order. Plus, any digital coupons you have will be applied to your purchase. We make every effort to have your favorites in stock. But if an item you’ve selected is out of stock, our staff will supply the most appropriate substitute, mindful of your budget and preferences. After you place your order, our staff selects the foods you’ve chosen and packages them for optimal freshness. Follow your store’s pickup schedule to ensure your grocery order is ready at your arrival. When you arrive at the store, park in the Groceries To-Go parking area and call us at the number on the sign. We’ll bring your order out to your vehicle. The information you provide is used only to improve our services and create the best pickup experience possible. We promise to never rent, sell, or trade your information. Available at select store locations in Jasper, Huntingburg, Ellettsville and Evansville. Create your online ‘My Store’ profile to get started today!